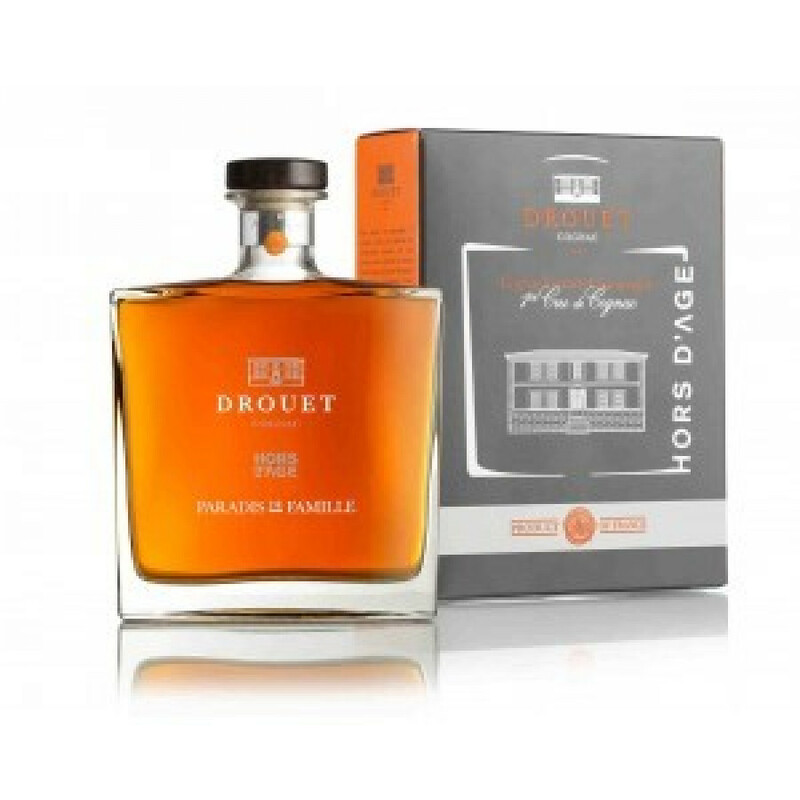 The Drouet & Fils Paradis de Famille Cognac is a heritage cognac of the family Drouet. It's composed of a blend of eaux-de-vie, all from the Grande Champagne terroir, and distilled in 1969 by Gérard Drouet in his 4-hl still, heated by wood and coal. Colour : dark, coppery, tinged with mahogany. Aroma : exceptional bouquet dominated by "rancio", fruity notes: citrus, very ripe plums, with a spicy base: cinnamon, precious wood, tobacco. Taste : delicacy, power and enduring length marked by an extraordinary mellowness. Strong personality. Hi! Can you give me the details of the spirits? I was told that was made from a range of older vintages and it is a Grande Champagne cognac. Is it a classification or is it a level like the Sake? What is the rule on Grande Champagne classification? Your Drouet &amp; Fils Paradis de Famille seems extremely cheap to me as in my country's other Provinces, the price is double and triple because it bears the name of Paradis which is now a hot cognac in the Far East. I am not interested in cheap cognac. I only want good cognac and at this price; I am a little perplex. If it is good, I am also afraid to buy for a friend as a gift as it is too cheap for a good cognac. Like the Delamain Reserve de la Famille, it is priced three times more expensive than Drouet and in our market, it is cheaper than your website has indicated. It is very confusing to me how you price your product, is your price an average selling price in the world? When I check with other websites, some product prices are more expensive and some are cheaper than usual. I appreciate your explanation before I commit to purchase.